Tag Archives for " chris bibey "
It’s guest post day here at Duct Tape Marketing – Enjoy this post from Chris Bibey. According to the U.S. Small Business Administration, there are approximately 23 million small businesses in the United States. If you don’t have a strategy for outdoing your competition, you could find yourself treading water for years to come. If you are the face of your company, it is essential that you grow your personal brand. Doing so will go a long way in showing your market that the person in charge knows the business inside and out. 1. 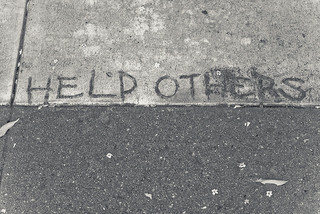 Go out of your way to help others. If I could only choose one strategy for growing my personal brand, this would be it. You won’t always get paid for going out of your way, but this has nothing to do with the results. I am never shy about jumping on a phone call, connecting with an interested party via email or even meeting in person. Simply put, this generosity will pay off in the long run. 2. Build your online following. In today’s day and age, there is no better way to grow your personal brand than through a strong online following. This has treated me well in the past, despite the fact that my social media presence is anything but robust. Remember, you don’t need tens of thousands of followers, friends, or connections to grow your personal brand. What you do need is the ability to provide guidance, advice, and information to those who care about what you have to say. Many years ago, back when I was first getting started with LinkedIn, I took the time to strike up conversations with every new connection. Doing this eventually led me to a conversation with the founder of Brosix, an instant messaging company. Shortly after that, the team reached out to me after checking out my experience online, and it led to a strong business relationship. 3. Always provide value. Remember, everything you “put out there” is going to reflect on both you and your business. If you aren’t providing information of value, you might as well take a step back for the time being. This doesn’t mean every tweet and blog post should be earth shattering. What it does mean is that you should think twice before you update your social media profiles or blog. Also, don’t throw around advice, such as on a phone call, without thinking about what you are saying. The other party is likely to implement the advice you suggest. Do you want to steer him or her down the wrong path? The time has come to strongly consider the benefits of growing your personal brand. If you follow the three tips above, it could have a profound effect on your business in 2015. 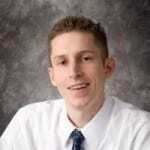 Chris Bibey is a corporate blog specialist based in Pittsburgh, Pennsylvania. He specializes in providing content and consulting services to organizations of all sizes, ranging from start-ups to publicly traded companies.